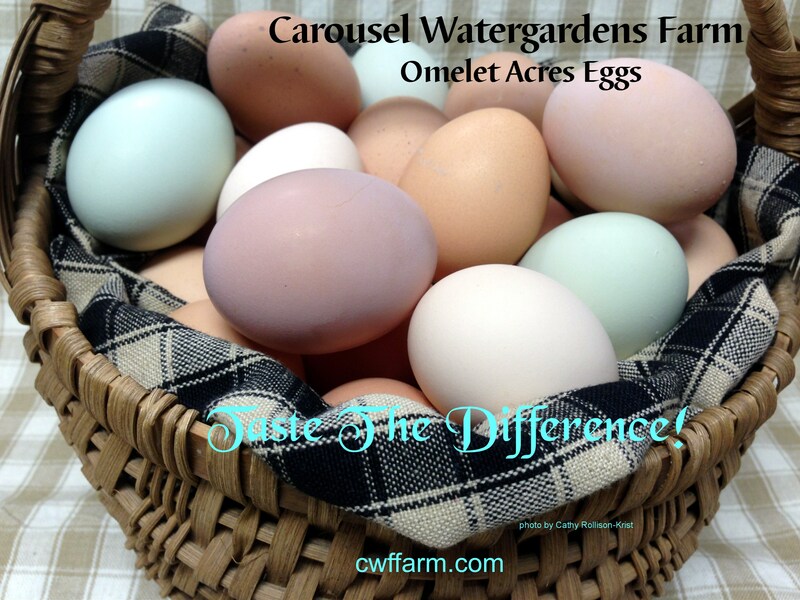 Come join Carousel Watergardens Farm at the Columbus Winter Farmers Market this Saturday February 28, 2015 from 10am-1pm at the Whetstone Community Center 3923 N. High St. Columbus, Ohio 43214. We will have our winter produce of potatoes, onions, garlic, limited amount of winter squash, broccoli, brussel sprouts, cauliflower, cabbage, spinach, farm fresh eggs, chicken- whole, ground, sausage links, wings & boneless skinless breast, pork sausage, & ground beef. We just bottled some clover honey as well as our wildflower honey, we’ll have plenty of maple syrup and maple cream, our wonderful jams & jellies, herb dips, rubs & seasonings. Plus you’ll find many other great venders at the market with great goodies such as hot sauce, jams & jellies, gourmet coffee’s, Ohio made root beer & soda’s, herb teas, remedies & body care. Relax and enjoy the soothing entertainment by Carl Yaffey & Bill Cohen of Folk Ramblers. The weather is supposed to be partly sunny & crisp but no snow. Yay! See you there!